In December the lovely people from Liz Earle Skincare kindly offered to send me one of their products. They sent me their bestselling Cleanse & Polish Hot Cloth Cleanser starter kit. This product has won numerous awards, and I know it is a beauty blogger favourite. It contains naturally active ingredients including: Cocoa Butter, Rosemary Essential Oil, Eucalyptus Essential Oil, and lots more. Liz Earle are passionate about responsible sourcing of their ingredients, while also taking steps to ensure that their products contain high performance, quality and safe ingredients. I had not ever tried a Liz Earle product before, but after reading so many rave reviews on their range, I was very excited to try my first Liz Earle product! 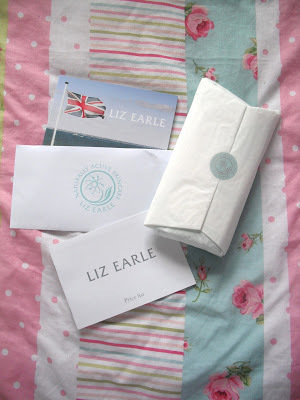 Here’s what I recieved from Liz Earle. Beautifully packaged with lots of extra info. Inside the little green pouch contained the 100ml cleanser pump, two cotton muslin cloths, and an ultimate cleansing guide. Liz Earle recommend cleansing twice daily, morning and night.The cleanser has two steps, the first is to massage one or two pumps onto dry skin over face and neck, and then you rinse the pure muslin cloth in hand-hot water and wring out before gently wiping off the cream. The finish, you splash your face with cool clean water and follow a moisturiser. Free from mineral oil, it has a rich and creamy texture and claims to swiftly removes all traces of face and eye make up, even mascara. I found that the Cleanse and Polish cleanser overall did a very good job of removing any dirt and grime from my face, and it left my skin feeling very fresh and soft. The muslin cloths did an excellent job of exfoliating, removing any dead skin and it left my cheeks glowing. However the only negative that I found is that I’m not sure it does a great job on unclogging those blocked pores! But I think I would need some deep cleansing nose pore strips for that. Overall I think it is a great product, and I can see why it is a very popular favourite. It costs £13.75 for the starter kit which I think is a very reasonable price for a top branded product, which also includes two muslin cloths. I can't wait to get this at the weekend! It sounds amazing, I once got told that if you use a good cleanser you shouldn't need to buy an exfoliater and this sounds like it definitely does two jobs at the same time! 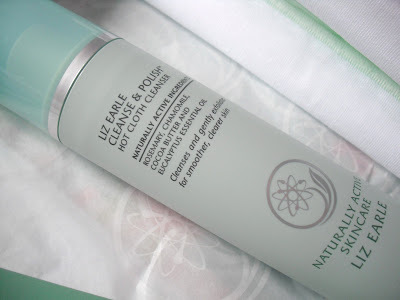 I love cleanse and polish, I really want to try out some more liz earle! I love the Cleanse and Polish and am so glad I discovered it a few weeks ago. 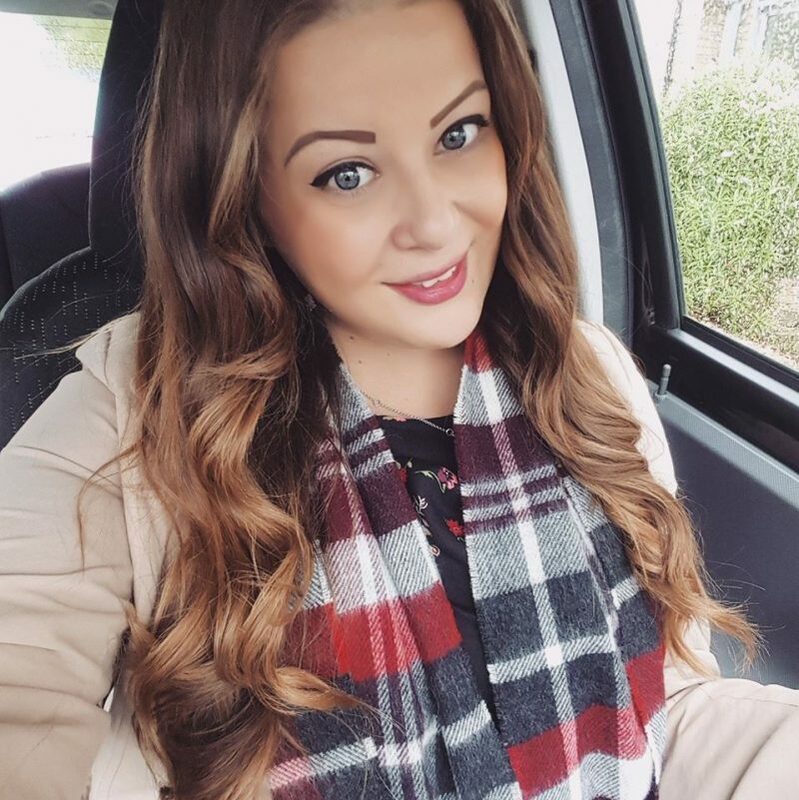 I have been using it with my Clarisonic and it has improved my skin amazingly – I have just bought the Liz Earle exfoliant and that too feels so amazing, I am a total Liz Earle convert and dont think that I will use anything else now! Great review! Lovely review! I've never heard of this but I should really try it as my skin care routine is a mess at the moment! 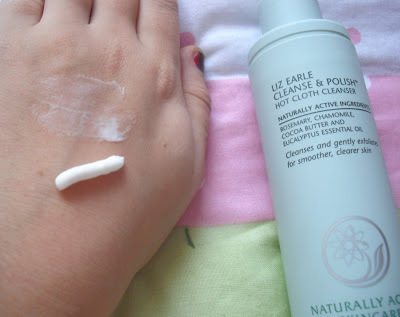 Started using Liz Earle cleanse and polish two days ago. Am already seing the results.. its gentle and calm on the skin compared to products i have used in the past.